Suitable for beginners Ideally you should have at least 30 logged dives and gained an advanced open water certificate or equivalent. Highlights Big drops offs and big fish at Daedalus make this an itinerary to remember. Combined with the unique coral formations at St Johns and Fury Shoal and you have an outstanding dive holiday, far from the crowds. 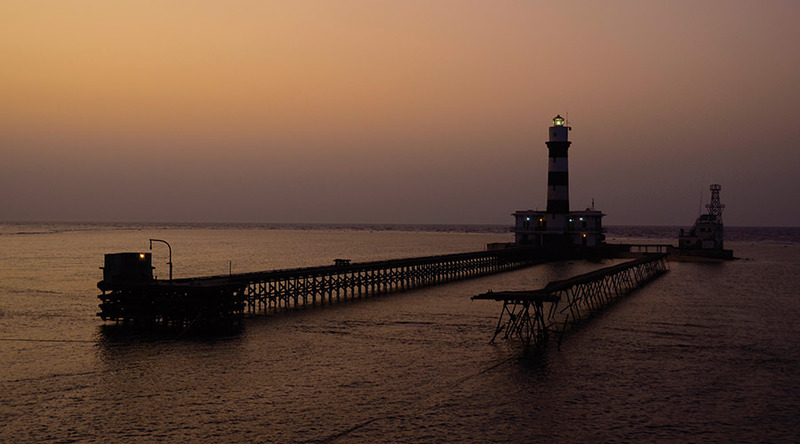 To create the Daedalus, Rocky and St Johns itinerary we have scoured the vast miles of Southern Red Sea and picked out the creme de la creme for your personal diving enjoyment. If you love reef diving then you are guaranteed to fall in love with the variety on this classic Egyptian liveaboard itinerary. Stretching south from Marsa Alam to within a breath of the Sudanese border, get face to face with the remarkable diversity that makes the deep south so rich and rewarding for divers. Walls, shallow caves, softly draped pinnacles are all on the menu alongside pelagic encounters. 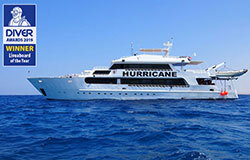 Marvel at the beauty and splendour on one of our favourite southern Red Sea liveaboard holidays. Check dive under your belt, the boat sails south. Overnighting to Daedalus, the first of the big wall dive sites looms large. 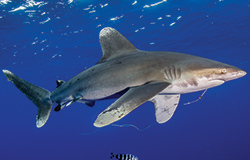 Daedalus is the place for exhilarating drift dives and the first shark sightings. Be it hammerheads at Daedalus or Rocky, grey reefs at Habili Jaffa (or small habilli, St Johns), there is plenty of reason to keep a watchful eye to the blue. 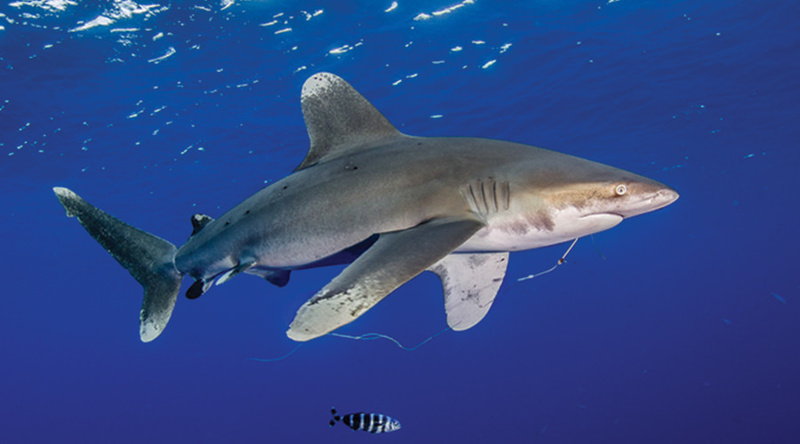 Oceanic white tips cruise the shallows in the summer months, right through to the year end. Rocky and Zabagad are mystical islands where ancient ancient Egyptians mined green gem stones from the dusty earth. Slender coral towers and plunging drop offs are the order of the day. Turtles mate on the southern shores of Zabagad. St Johns is only a short hop away where diving is a thrilling mixture of sunken reef tops, steep walls and shallow caves systems. 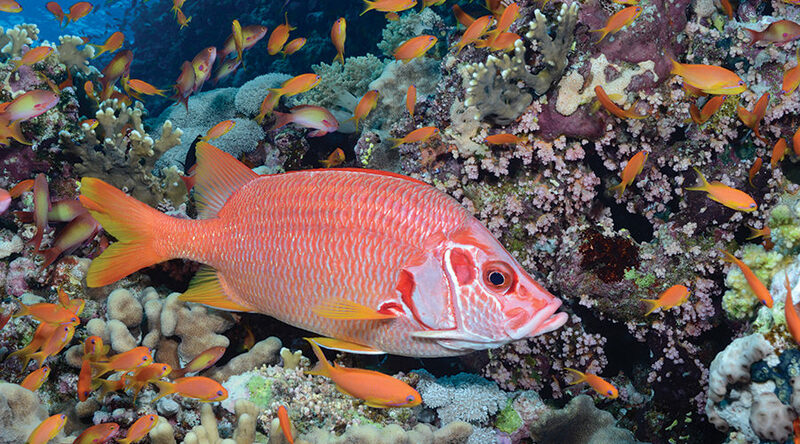 Rare bumphead parrot fish are commonly seen chomping hard corals at Habili Kebr (or big habilil) and Dangerous. 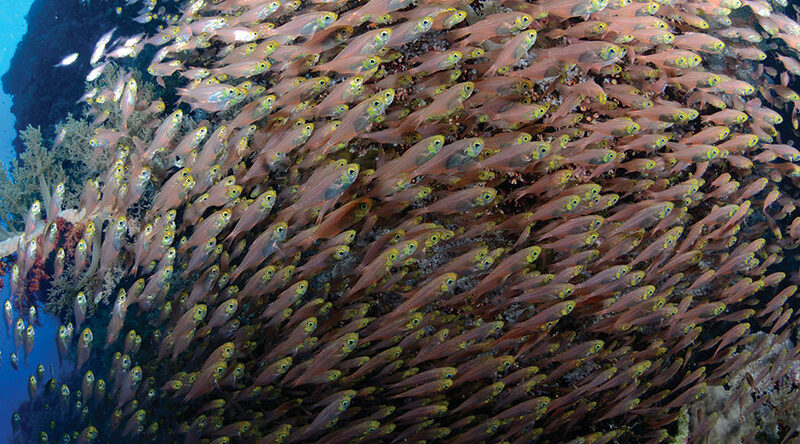 Abu Bassala boasts fine anemone gardens, stonefish and baby white tips. The shallow cave systems to the north of St Johns are a fun and unusual dive. Returning north does not mean the end of this itinerary. The succulent coral gardens of Fury Shoal and Wadi Gamal are just as spectacular and finish the week with an exclamation mark. There are no longer any minimum dives for the Marine Parks but we would recommend around 40 dives. The diverse itinerary makes it ideal for anyone looking for more than just currents and wall diving though. 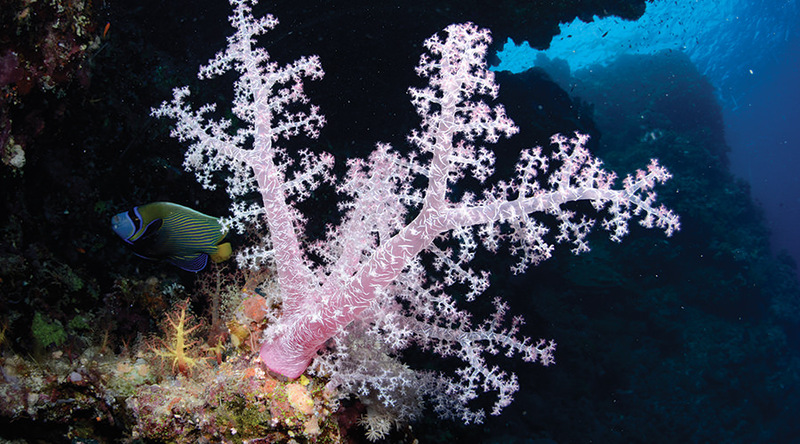 The candy coloured reefs will suit photographers or those divers that just enjoy watching fish act out their daily lives. Night diving is permitted on the itinerary once outside the Marine Parks, where morays, feather stars and Spanish dancers all parade in the dark. No corner of the region, no matter how far flung, is left out and there are walls, pinnacles and caves to keep even the most demanding diver happy. Sailing over night and during the day, you get to every dive site at just the right moment. 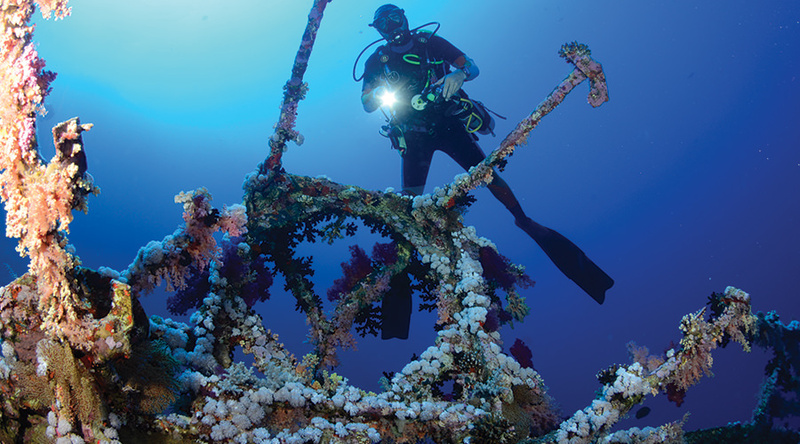 Daedalus, Rocky and St Johns is a splendid itinerary with diving to match. Royal Evolution will dive the above areas but in a slightly different order. Trips typically start at Elphinstone before heading to Daedalus. After a full day here you sail to Rocky where you spend a day diving Rocky and Zabagad. There are then further days at St Johns and Fury Shoal before the boat heads back to Elphinstone and Port Ghalib. 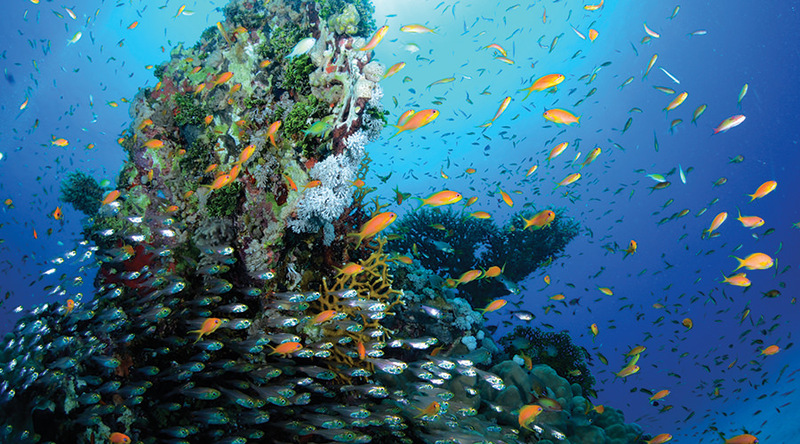 Scuba Travel have regular itineraries that depart during the year. Hurricane departs from Port Ghalib in Marsa Alam. All of our Daedalus Rocky & St Johns trips run for 7 nights with 7 nights spent on board your liveaboard. 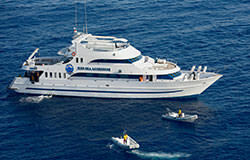 Royal Evolution will usually offer 6 nights on board and 1 night in a hotel but please do check at the time of booking. There are normally 3/4 day dives apart from on your first and last day. Night diving is prohibited whilst at the Daedlus, Rocky and Zabagad although there will normally be at least 1 night dive during the week. There are around 18-20 dives on an average week but this can vary. A normal Daedalus Rocky St Johns itinerary will dive at the following areas but the exact dive sites and order will vary week by week depending on what people enjoy, where the best sightings have been and reflect diver experience levels. Daedalus is a huge toblerone triangle shaped reef with many dives on offer. 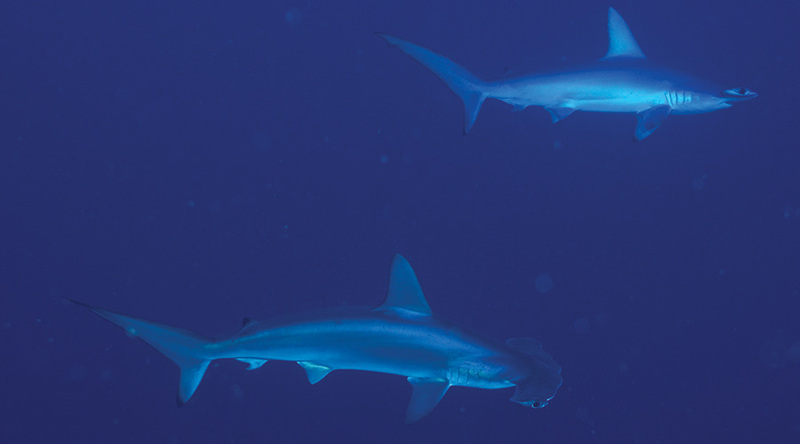 The north tip is the best place to hang out for hammerheads and then drift down the walls. The west wall in particular is another great place to literally bump into the odd hammerhead as there are several cleaning stations. The east wall is home to the anemone city, with a narrow band of splendid anemones and clownfish sprawling down the reef. The south plateau is a brilliant boat dive with chances to see reef sharks, huge barracuda and tuna racing on the edge of the drop off. and camouflage fish on the plateau itself. The hard corals are simply spectacular too and worth investigating in their own right - loads of macro especially flabellinas. 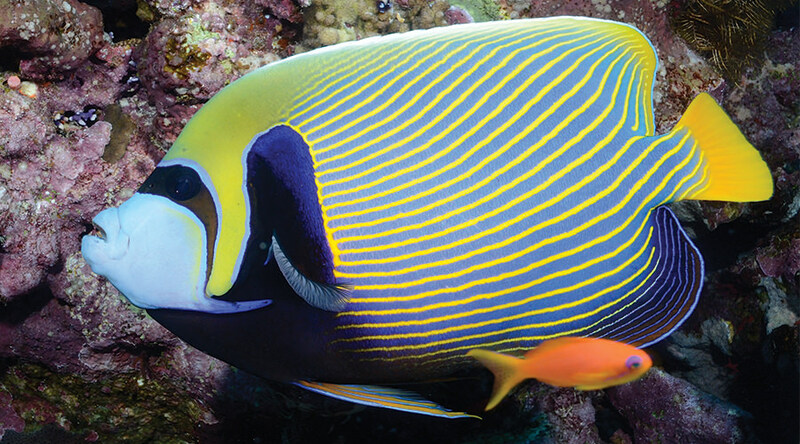 Rocky and Zabagad form the southern most marine parks but are quite different dives! Rocky is similar to Elphinstone in size - a narrow island that juts out of the water with steep drop offs all around. You can look for shark on the tips where the current is strongest but after this head up to the shallows to enjoy the many overhangs. Fish are usually darting about all over the place so there is plenty to check out. There are normally 2 sites to pick from at Zabagad. 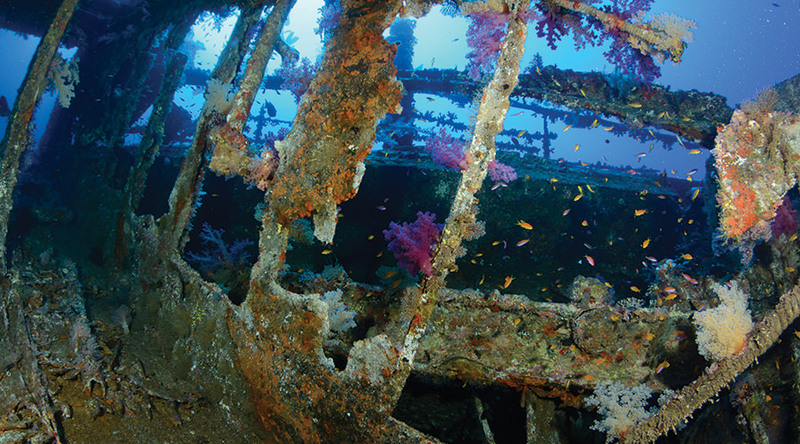 The trawler in the natural harbour is a fun little wreck dive and one of the only bit of metal in the whole area! So if you are a metal head this is the dive for you. Alternatively head round to the southern plateau where the reef runs up to a sandy beach used by turtles. You can see plenty of turtles out and about here and the coral pillars are quite simply stunning, draped in soft corals. St Johns offers a mixture of dive sites which are stunning - you will dive at some of these reefs but not necessarily all sites. Broadly speaking you will do your deepest morning dives on the wonderful walls. Habili Ali is always a cracking start to the morning with steep walls, giant sea fans and plenty of reef sharks. Bumphead parrott fish can be heard munching corals in the shallows and larger pelagics such as hammerheads, manta and dolphin often cruise past. Habili Jaffa boats similar marine life to the larger Habili Ali but with the added fun or being a pyramid shaped reef that you circle several times over the course of the dive. Further wall dives can be made at Gota Kebir and Gota Soraya - always worth looking out for sharks here. There are several shallower dives sites which are ideal for the afternoon dive and at night. 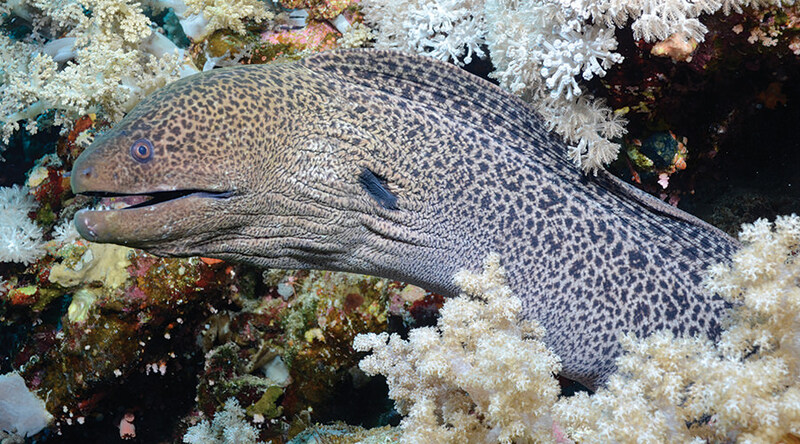 Abu Bassala is especially good for Spanish dancers and free swimming morays. 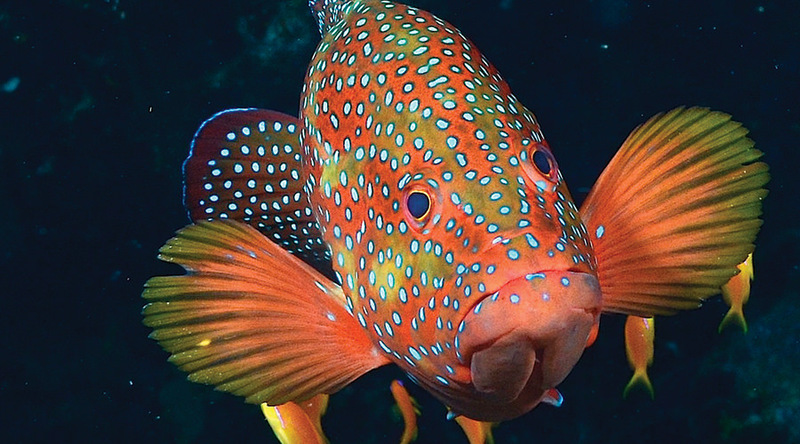 There are pinnacles at Um Aruk packed with splendid anemones and clown fish. 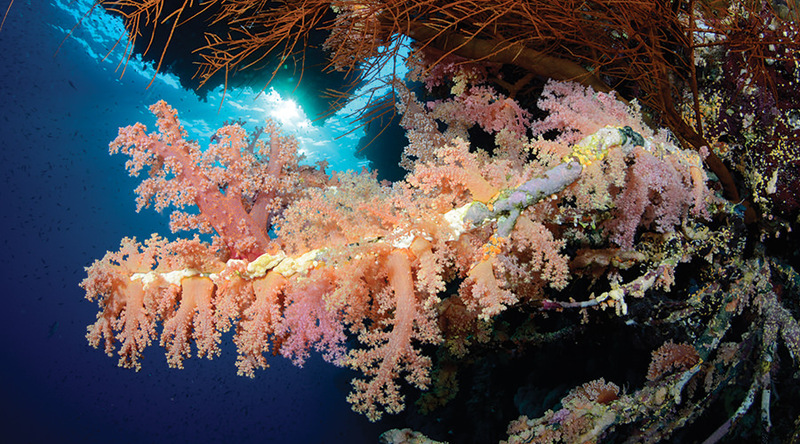 Swim through the shallow cave system at Dangerous Reef or just admire the large hard corals. The final stop in St Johns is usually St Johns caves - a highlight for many a diver. Here you really can lose yourself in the shallow and safe cave system before working your way out onto the outer reef. 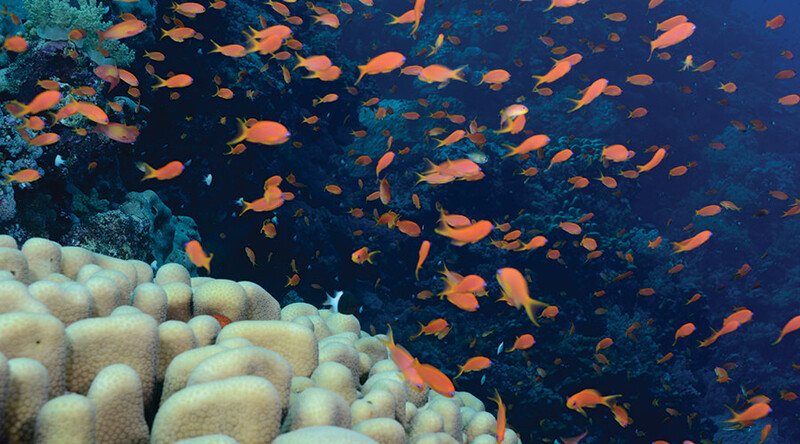 Fury Shoal is all about the spectacular corals here and abundant marine life. Sataya is the most southerly of the reef system and there are so many ways to dive it, including a shallow dive to see some Roman amphora. 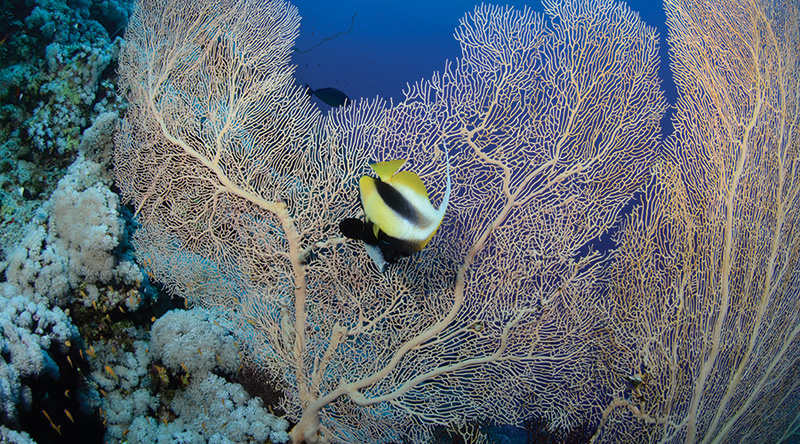 Shaab Claude is perhaps one of the most famous hard coral gardens and simply divine. Maksour is a great wall dive with beautiful southern plateau and pinnacles. Malahi is a fun dive with narrow swim throughs to explore. Aub Galawa Soraya and Abu Galawa Kebira are home to small wrecks, a great start to both dives around these coral playgrounds. Watch turtles at Zabagad - there's also a wreck dive!